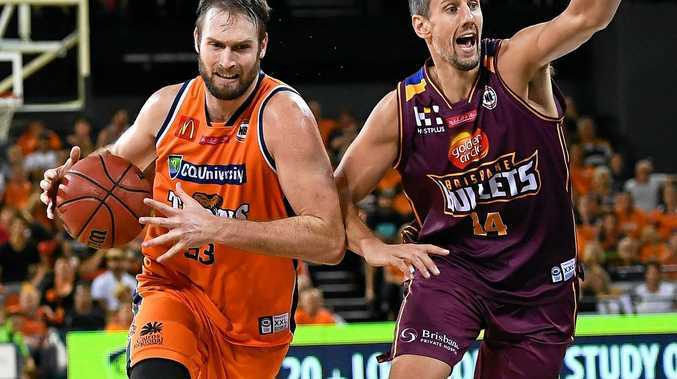 BASKETBALL: It was already looking like a case of lights out for the Cairns Taipans in their NBL Queensland derby against the Brisbane Bullets. And then the Cairns Convention Centre was suddenly plunged into darkness for all as a result of an electrical storm that hit the city. 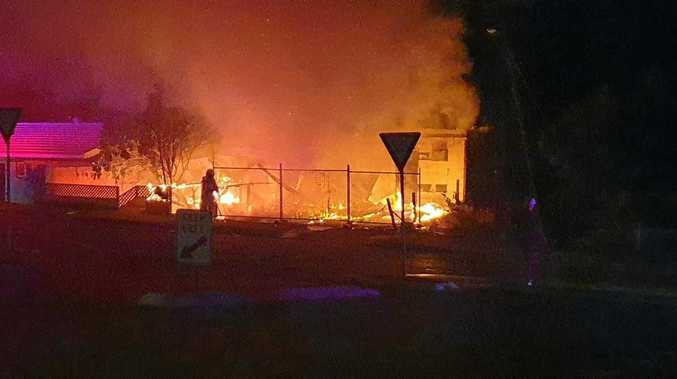 It was believed lightning hit the complex, which then suffered the power outage. With 1min 37sec left on the clock in their round-six battle, the Bullets were up by eight points, 84-76. With the game abandoned "due to no indication of power being restored soon”, according to FIBA rules, the Bullets were given the win, albeit with the Taipans permitted to protest. The NBL said a review would be undertaken tomorrow. The sides had been neck and neck in the first half, with the Bullets up 17-16 at quarter-time and 45-43 at the end of the second term. The visitors gained some momentum in the third quarter when they added 24 points to 17, before keeping their state rivals at bay until the abrupt end to the clash. Daniel Kickert (pictured) and Tom Jervis (12 points each) led the scoring for the Bullets, while Cameron Bairstow was dominant with 10 rebounds. Damon Heuir recorded a game-high 15 points for the Taipans after starting on the bench. It completed a successful weekend for the Bullets after their 86-73 victory over Sydney on Thursday.